THIS IS AMAZING!!! I will definitely be taking part! That is very cool! I like the new random name tags on their bottles. That's some amazing news Helen! very cool, thank you for sharing the information and the competition. Oh my goodness, what an incredible campaign! Lovely gift and great campaign!!!! That's awesome! ASOS are the best! I never knew that! Cute idea! Thanks for checking out my blog. I followed you on gfc and bloglovin, hope you'll do the same. What a cool marketing idea!! 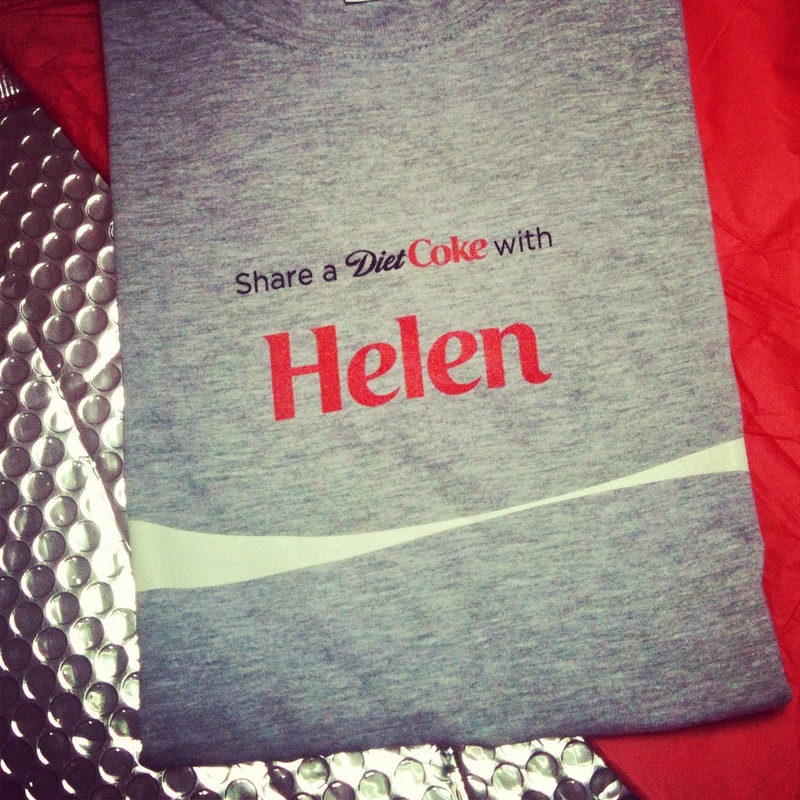 I would just settle for a personalized coke shirt!! Wow that's so cool!!! Coke always has the best marketing campaigns.....thanks for sharing it with us!! I keep seeing coke bottles with different names on them. I hope I find my name! Amazing job dear! Love this shirt. What a cool idea! Great Inspiration! What an awesome idea. Thanks for sharing! Very nice shirt! Love Asos! How awesome, this is so cool! Congrats on the fantastic shirt, too! Love it! ps. don't forget to enter our GIVEAWAY for a change to win a 14K golden infinity ring. That is pretty cool to be included by Diet Coke. I don't like soda (any kind) but I still recognize that they are a very large company! Good job. How awesome is this . I am heading to asos now lol ..
Helen I want that tee-shirt too! So cool sweetie!!! looks very lovely and chic! Great post and have a great day. Oh wow the prize is amazing and worth wuite a lot haha, love the idea and thanks for sharing! wow, that's an amazing price!!!!!!! Ok, that sounds like a pretty awesome birthday/anniversary giveaway thing. And I totally want my own tee! Wow amazing, I really want a top like this. Let me know if you'd like to follow each other. This looks like so much fun!!! I love how you got a random shirt with your name! haha I will look for the clues for sure! thanks for sharing! Oh Gosh, this is truly an awesome campaign!! Thanks for sharing. What an absolute treat - how cute is the shirt! Enjoy! We have been following your blog for a while now and wanted to nominate you for the Liebster Award, it's for up & coming bloggers to get to know each other on the blogosphere and for them to highlight their favourite new blogs too. We have answered the questions by our nominee and have asked some questions for the bloggers we nominated. We look forward to getting know you. oh that is awesome. You have your own personalized Coke tee. Thanks Helen for stopping by my blog. Stay in touch.